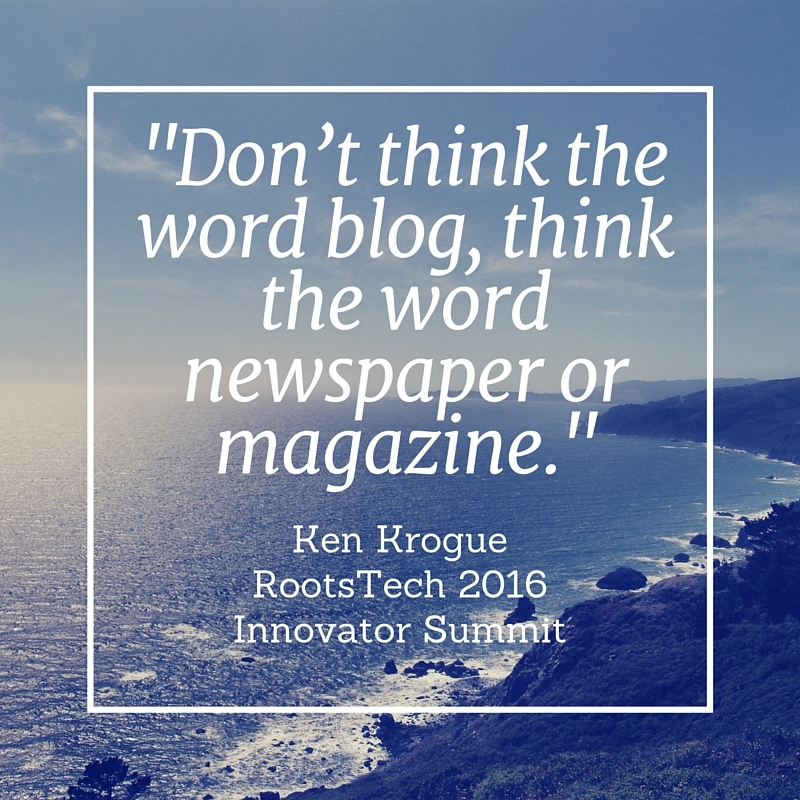 Jana's Genealogy and Family History Blog: RootsTech 2016 ~ Ken Krogue: "Don't think the word blog, think the word newspaper or magazine." 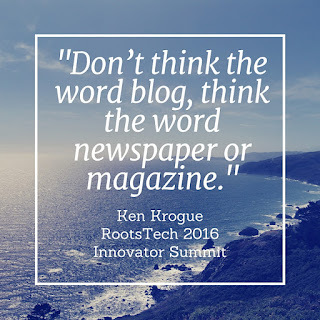 RootsTech 2016 ~ Ken Krogue: "Don't think the word blog, think the word newspaper or magazine." My day 1 of RootsTech 2016 began with the Innovator Summit General Session, which was held on Wednesday, February 3, 2016. One of the keynote speakers was Ken Krogue - co-founder of InsideSales.com. Ken Krogue's keynote address was wonderful. I especially loved what he said about blogging. He shared the chart below that showed the results of a research study by a business magazine. 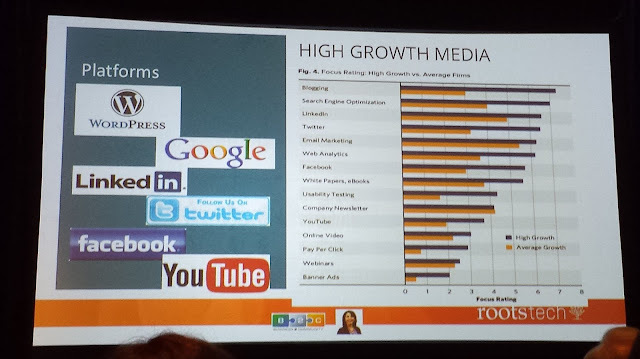 The study asked "Which medias are most important?" The answer was blogging. What Ken Krogue said about blogging really resonated with me. I especially love that he advised us bloggers to think of our blog as a newspaper or magazine. Blogging is important and powerful. As he said, "Your voice can be heard around the world if you blog." I know firsthand how beneficial blogging can be. I wrote a blog post about the benefits of writing a family history blog in my post The Benefits of Genealogy Blogging. I have also taught a class about the benefits of genealogy blogging at various family history events. 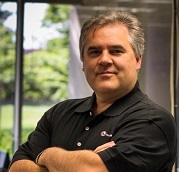 You can watch Ken Krogue's full keynote address in the video below. If you don't have a blog yet, begin one now. Through your blog, you will be able to tell your own story, as well as the story of your ancestors. I loved this session too! Yes, it was great Amy! Thanks for stopping by! Interesting! Some family historians are unfamiliar with social media and think blogs are just about trivial things, so I often use the term 'article' instead of 'blog post' when I mention a blog that I think they should read. Great idea to say "article" instead of "blog post" Judy! Thank you for stopping by!